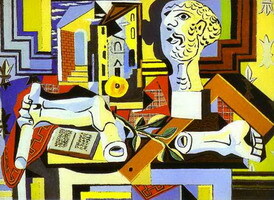 This picture is the artist’s first Surrealistic work, in which he "proves harmony by algebra" by breaking the human body into pieces and re-assembling it using absolutely unique patterns born in his head. 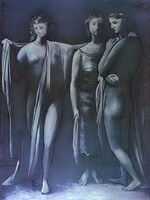 Some believed that the discord in the relationship with his wife, the former ballerina Olga Khokhlova, was the reason why he depicted the dancers as convulsive puppets. 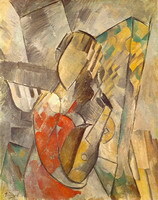 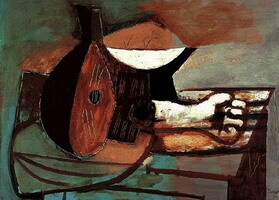 Only in 1965, the artist explained that the painting filled with broken figures should have really been called "The Dance of Death", as it was inspired by memories of the death of two of his fellow artists: Carlos Casagemas in 1901 and Ramon Pichot in 1925 (both involved in a love triangle with a femme fatale Germaine Gargallo). 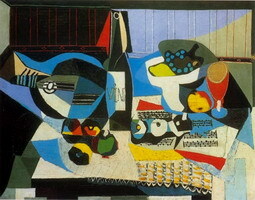 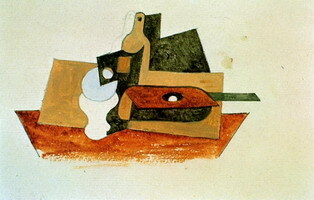 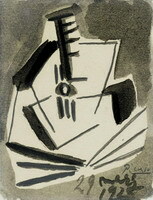 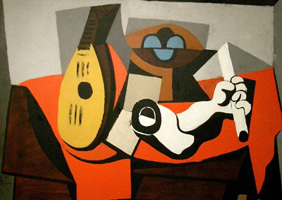 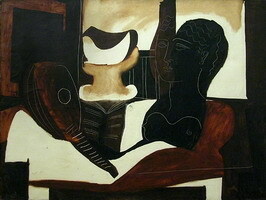 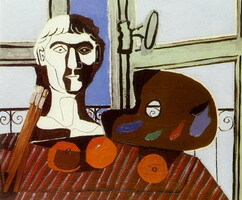 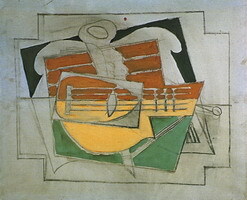 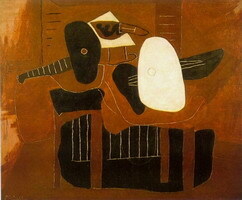 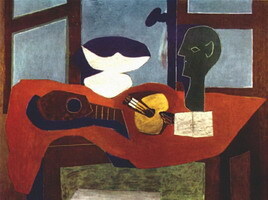 Carlos Casagemas accompanied Picasso during his first visit to Paris. 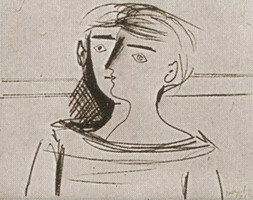 Overwhelmed by passion for Germain, he shot her and then committed a suicide. 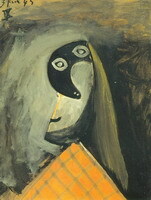 In the first case, the bullet missed, and after a while the lady became the wife of Ramon Pichot. 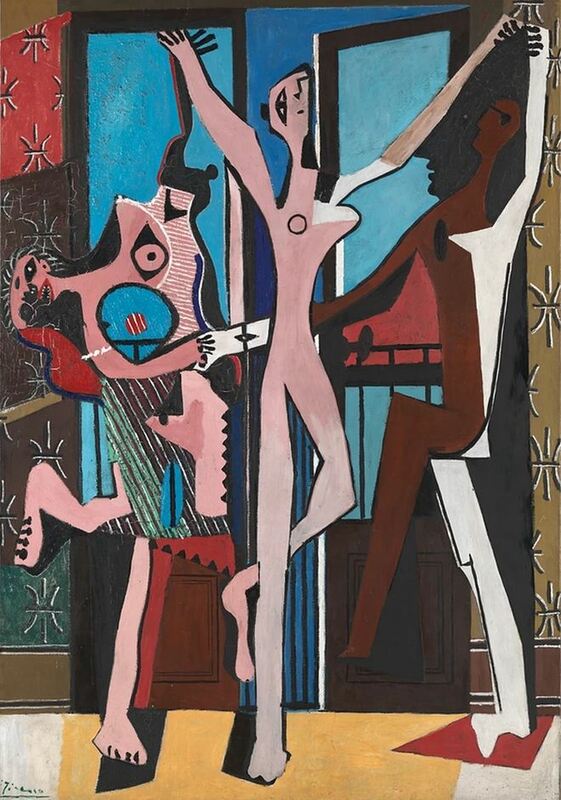 While working on "The Three Dancers", Picasso received the news of Pichot’s death.